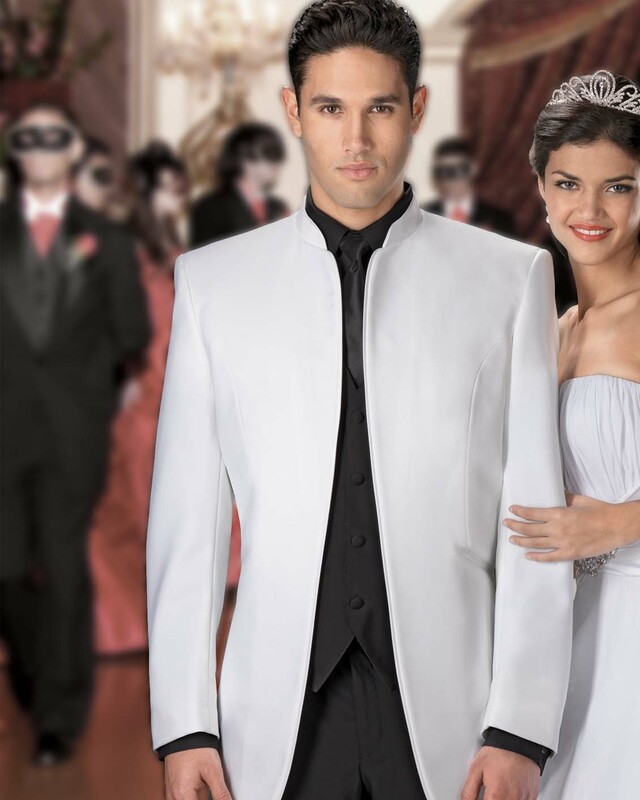 Stand out of the crowds with this original and elegant white tuxedo. Can be worn with black or matching white pants. Also available in black and ivory as well.